BIG MOVIE FREAK: Funny toon! (Not by me) - Another Indy 4-related posting! Funny toon! 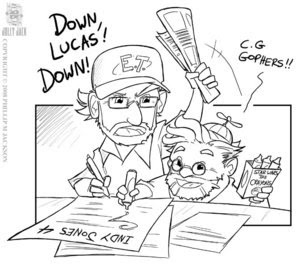 (Not by me) - Another Indy 4-related posting! Awesome toon poking fun of the latest Indiana Jones installment by "*jollyjack". See the bigger toon by clicking on the picture. It'll take you to his page on deviantART.com.